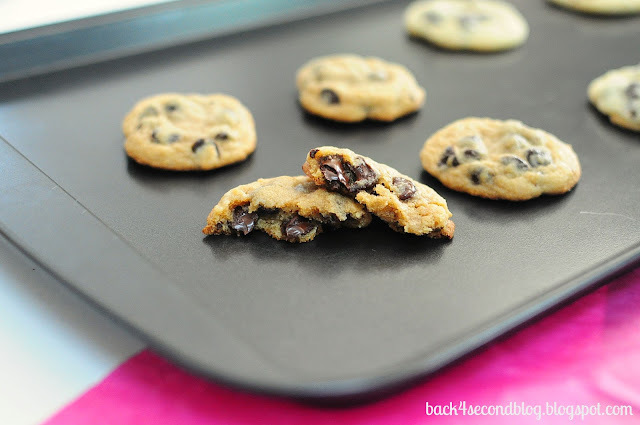 I don’t care if it’s boring, the chocolate chip cookie is one of my all time favorite desserts. So it only makes sense that I would bake them gazillions of times to try to perfect my recipe (and to eat, obvi). The last time I made them I decided to experiment a little. I slightly tweaked my recipe and tried making one batch with only white sugar and the other batch with only brown sugar. Just to see the difference. Which one would taste better? Would the texture be different between the two? etc. Any guesses? Below are the brown sugar cookies. 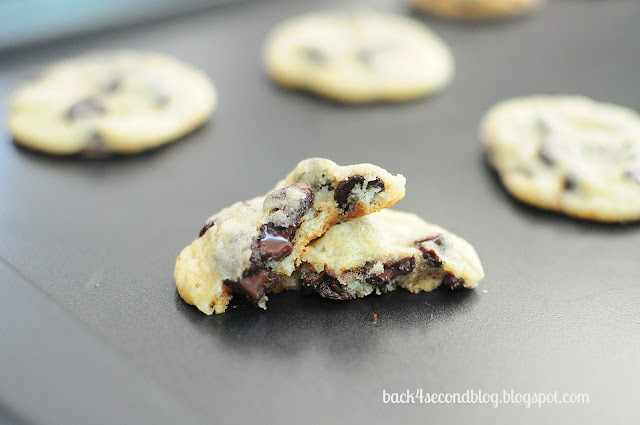 They are soft, thick, slightly crisp on the edges with moist chewy centers, and loaded with chocolate chips. 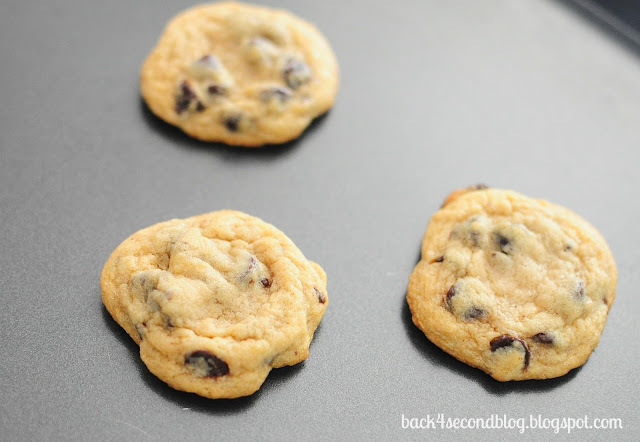 They have a slight caramel flavor from the brown sugar and are a little darker than the traditional chocolate chip cookie. Delicious to the 10th power. Especially warm from the oven…look at those melty chips! Below are the white sugar cookies. 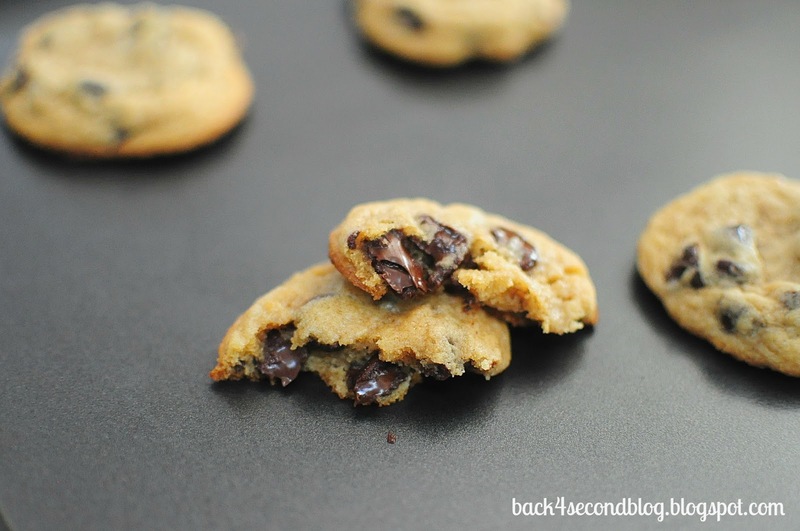 The flavor is not as complex as the brown sugar batch and they are a lighter in color than the traditional chocolate chip cookie. This recipe is a real winner whether you use brown or white sugar. The main difference is in the color of the cookie. There is only a slight difference in flavor – the brown sugar version having a hint of a caramel undertone. 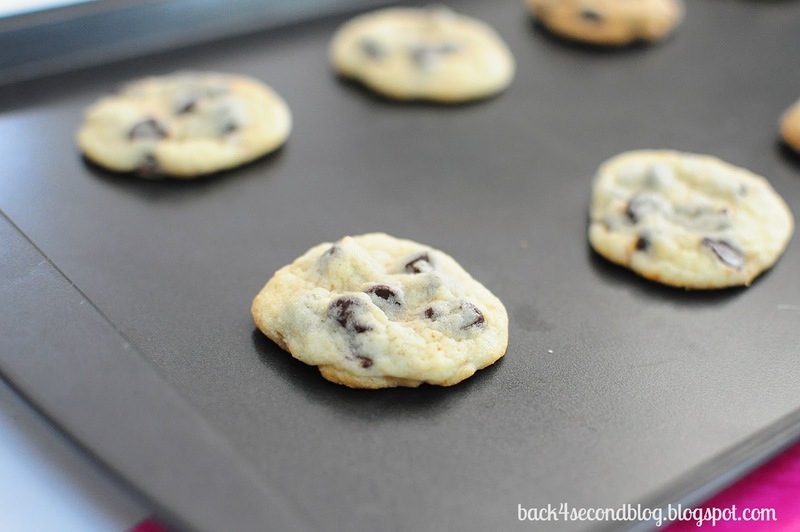 The texture is the ever so slightly softer in the brown sugar version, but both cookies are dynamite! 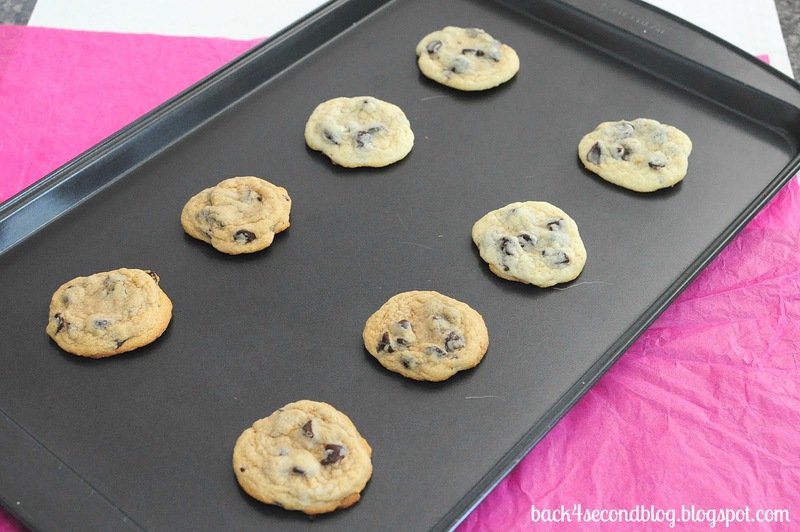 What kind of sugar do you use in your chocolate chip cookies? In a mixing bowl cream together the butter and sugar. add in the egg, salt, and vanilla, mixing well. Gradually add in the flour, soda, powder, and cornstarch until well combined. stir in chocolate chips. 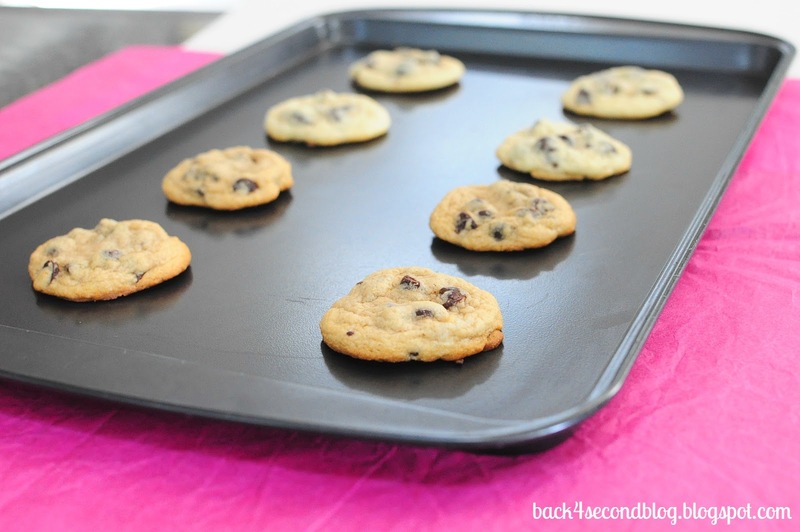 Drop by tablespoons onto an ungreased baking sheet and bake for 7 minutes. Cool on wire racks and store in an airtight container at room temperature up to a week. You can enter below in the rafflecoptor. 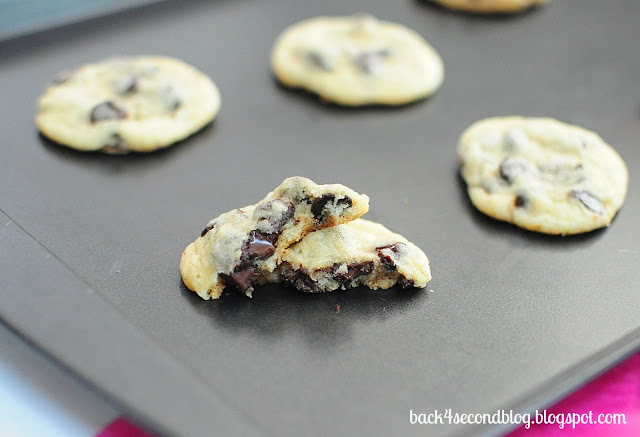 I use the Nestle Tollhouse recipe with calls for both types of sugar. I just learned that you should cut the recipe time back by a minute or two because they continue to crisp up on the cookie sheet out of the oven. Makes them extra mushy – LOVE!